There are a number of beneficial reasons to use wood pellets to heat your home. Unpredictable and often inflated energy prices during the colder months have increased interest and usage of wood pellet stoves in an attempt to reduce energy costs. Wood pellet heating can be used as a stand-alone home heating source or as a supplemental heat source to a central heating system. With their growing popularity, there are more pellet fuel choices than ever. We’re taking a closer look at 3 popular wood pellet brands, hopefully helping you to make the best choice for your heating needs as easy as possible. 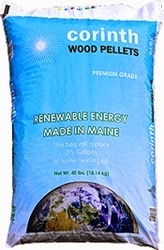 Made in Maine from harvested local resources, Corinth wood pellets are produced from a specific blend of hardwood and softwood and are 100% natural with no added chemical binders or fillers. One 40 lb. bag can replace up to 2 1/3 gallons of home heat oil, and those who have used Corinth pellets report an exceptional amount of heat output. Find more information about Corinth wood pellets here. CANAWICK can call rightfully call their pellets “ecological pellets” as they are made from 100% biodegradable residual sawdust. 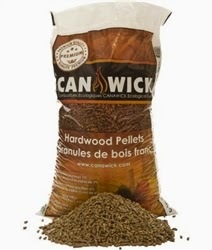 These pellets are made from premium quality hardwood free of any additives whatsoever. They provide superior heat output with very low moisture; up to 35% greater heat output compared to traditional fire wood. Suitable for a wide range of fireplaces or slow-burning wood stoves, fire pits, etc. Available in 40 lb. bags or by the ton. Find more information here. 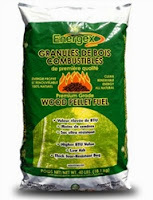 Energex is the largest producer of wood pellets in Canada and have been producing wood pellets out of Lac-Megantic, Quebec for about 29 years. Using a blend of softwood and hardwood produces a higher-heat burn and lower ash content (less than 1%). Free of additives and bark for a clean burn. Sold in 40 lb. bags and are also available in bulk. Have you tried any of these wood pellet brands before? We’d love to hear from you! Leave your thoughts and personal reviews in the comments section to help guide others in the community to the best possible home heating solutions. You can find all of these wood pellets for sale at www.parisfarmersunion.com. Be sure to browse our selection of wood pellet stoves and heating accessories and be prepared for what Mother Nature has in store for us this winter! With all of the Mason jar glasses, Mason jar flower vases, and Mason jar lamps filling up our Pinterest boards, it is easy to forget to use them for their original purpose- canning! If you are like us and love to eat fresh seasonal food, the long stretch of winter can seem awfully flavorless without the juicy peaches and plump tomatoes that we enjoy in the summer. Although canning can seem intimidating to a first timer, canning homemade food is actually a very simple process, and you will get more comfortable with it once you dive in. 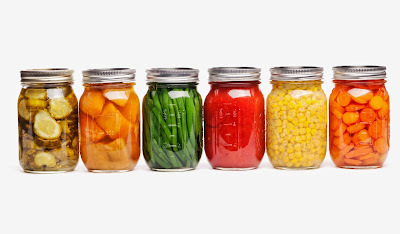 Today, we are sharing some tips for canning food for first-timers. While you can wash and re-use the glass and rims of the Mason jars, you must buy new lids every time to get a perfect seal that will protect your food from contamination. A canning funnel is also extremely helpful when pouring your sauces, jams, or foods into a narrow jar to prevent spillage from occurring. You will also want to purchase a canning rack, which is a metal rack that can be placed inside your large pot to easily pull the jars out of the water bath when they are done. Finally, a pair of sturdy tongs with easy grips will allow you to move your jars around without being fearful of coming into contact with scalding water or hot glass. Fortunately, many kitchenware manufacturers sell kits with all of supplies you will need for your canning project, like this one from Ball. Step Two: Which Canning Method is Right for You? The two predominant ways to can your foods are either by water bath canning, the style you are likely most familiar with, or by pressure canning. 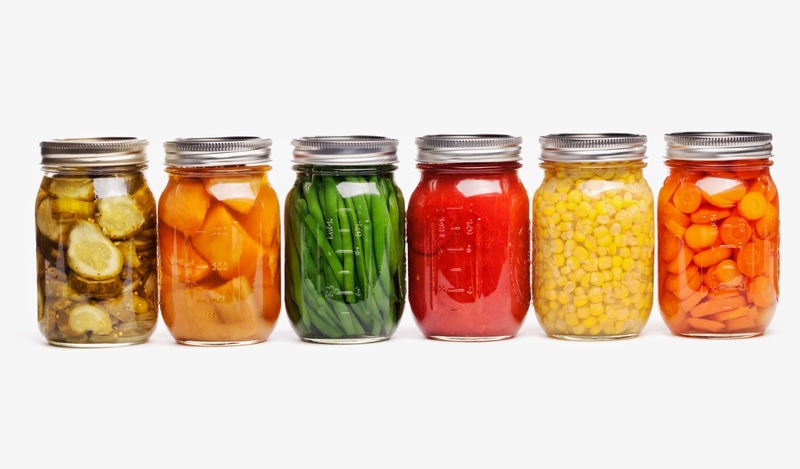 Water bath canning is great for high-acid foods, such as jams, jellies, fruits, tomato sauces, pickles, and salsas. Pressure canning is the safest method for low-acid foods like vegetables, soups, stews, stocks, meats, and seafood. If your recipe combines high-acid foods like tomatoes with low-acid foods like beef, pressure canning is still the safest method to prevent bacteria from contaminating your food. Ball, the manufacturer that we all associate with canning and jarring food, is the best source for step-by-step directions on both water bath canning and pressure canning. If you are a more visual learner, you will love this easy to follow, step-by-step video tutorial “Tips for Water Bath Canning for Dummies.” Or, if you are looking for a video on how to use a pressure canner, check out this great video. Of course, the best benefit of canning your own recipes is having delicious homemade food to enjoy throughout the year. Once you complete the canning process, check each jar lid to be sure that the seal is strong. Press down on the lids and feel if they pop back against your finger. If they do, this means that they did not seal sufficiently, and in this case you should place it in the fridge and enjoy within the recommended time frame for that item, generally five to seven days. Otherwise, label your food with the date and place in a cool, dark place for up to a year. What are your favorite foods to can? Do you have any special tips and tricks for canning food of your own? Let us know in the comments! Be sure to visit us at www.parisfarmersunion.com for canning jars, lids and handy kitchen gadgets to make canning food fun, safe, easy and delicious!